First they came after the Stars and Bars. 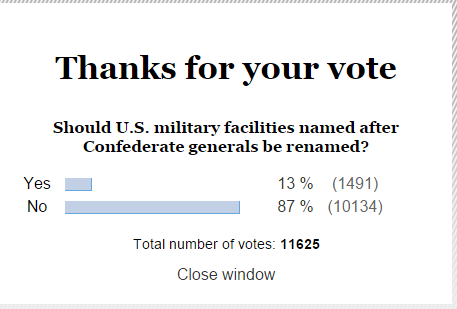 Now the left wants the US military to rename several bases named after Confederate generals. What do these US military bases have in common? They are all named for Confederate generals. There’s been talk for years about whether this is appropriate, and now in wake of Charleston and the South Carolina Confederate flag, it’s coming up again. Do you think these posts should be renamed to honor people who fought in the U.S. Army exclusively? Vote, and share your thoughts in the comments section below.